Employment timeline/resume: this is important, even for retirees, since it might be used to track down dates of employment and accounts that may not be recorded for benefits. Vehicles: gather information on your cars/trucks/boats/recreational vehicles, including VIN numbers, titles, any financing information, maintenance records, tag/tax information and related insurance details. Family/friends: basic information on your parents, children, next of kin and closest friends. Include full legal name, physical address, cell/home/work numbers, place of employment, and another person who can reach them. Pet arrangements: your veterinarian, any medical issues, pet insurance, care instructions, and guidance on your pet’s likes/dislikes. Sometimes it hard to tell that you might have Parkinson’s disease. The early symptoms are mild and could have other causes making it challenging even for experts to confirm early diagnosis. Some of the more common early signs of Parkinson’s disease are indicated below. If you are noticing these warning signs and have unexplained symptoms, tell your doctor and ask for an evaluation. Many of these symptoms are normal, caused by medications or other conditions. An expert will be able to evaluate and help you determine their cause. Tremors or shaking of limbs is a common early sign of Parkinson’s. A sudden change in handwriting, such as smaller letter size, may be a sign of Parkinson’s. Sense of smell can be changed by a cold, flu or stuffy nose, but ask your doctor if it persists. Even in sleep, Parkinson’s signs can be detected with sudden movements and thrashing while deeply asleep. Stiffness and rigidity that doesn’t go away when you move or walk. If you do not have enough water or fiber in your body, it can cause problems in the bathroom. Also some medications cause constipation. Speak with your doctor if you are concerned. While not always an early symptom, a very soft or hoarse sounding voice might be caused by Parkinson’s disease. If others comment that you have a serious depressed or mad look on your face, even when you are not in a bad mood, it could be related to PD. Feeling dizzy or fainting can be signs of low blood pressure and can also be linked to Parkinson’s disease. Many people with Parkinson’s experience stooping, leaning or slouching when standing. No single one of these signs means that you should worry about Parkinson’s disease. If you have multiple indications or are concerned, you should make an appointment to talk with your doctor. A stroke happens when blood can't flow to a part of the brain. When the brain doesn't get the oxygen and nutrients it needs from the blood, its cells are damaged or begin to die. The warning signs of a stroke may last only a few minutes and then go away. When this happens, it could be a ministroke, which is called a TIA (transient ischernic attack). This is also a medical emergency that requires attention right away. 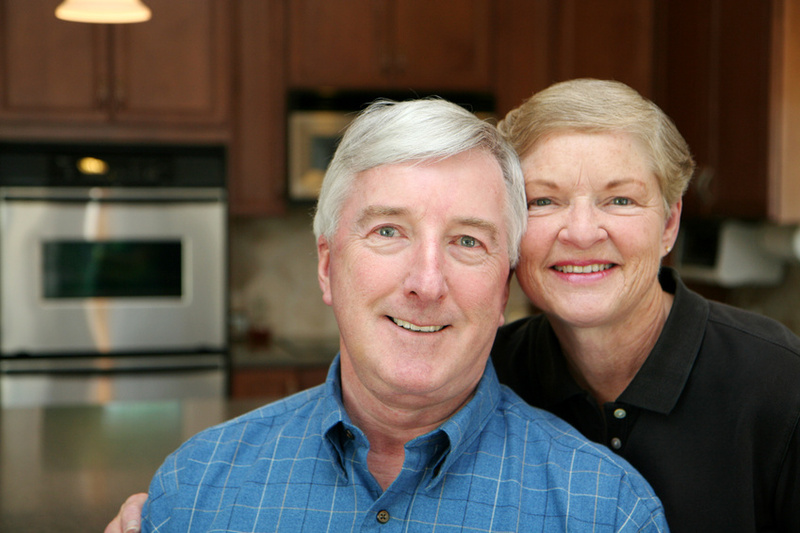 An unrecognized and untreated TIA can be followed within hours by a major disabling stroke. Always pay attention to any stroke symptoms, even if they are fleeting. What if it is a stroke? Recovery from a stroke is most successful if treatment begins within the first 3 hours after symptoms appear. The clot-busting drug t-PA can greatly lower the damage caused by a stroke, but it must be given within the 3 hour time frame. Getting to the hospital as soon as possible allows time for a CT scan of the brain. This scan will show whether t-PA is the right treatment. Only patients with ischemic stroke, caused by a clot, are candidates for this treatrnenl The doctor will diagnose stroke based on the patient's symptoms, medical history, and medical tests that let doctors look closely at the brain to see the type and location of the stroke. There are many different ways to help people recover from a stroke. Drugs and physical therapy work to improve balance, coordination, and other deficits from the stroke such as speech and language problems. Occupational therapy can make it easier to do things like bathing and cooking. Many therapies start in the hospital and continue at home. A family doctor can provide follow-up care. Progress is different for each person. Some people recover fully soon after a stroke. Others take months or even years. Sometimes the damage is so serious that therapy cannot help at all. A clean, neat home in need of few or no repairs will sell faster, and at a higher price, than one that is showing wear and tear. To give your home its best possible presentation, perform a mini-makeover or have your home professionally staged before it’s shown to potential buyers. As your Windermere agent, I can do a final walk-through with you to make sure no details have been overlooked. Here’s a list of tips that will help you make your home more attractive. Some of the items below will be part of a buyer’s inspection and may need to be repaired or replaced as part of the transaction. I will discuss these important items with you to help make a well-informed decision. Remove peeling and chipped paint; replace with a fresh coa t.
Make sure there is good exterior lighting and all lights work. Prune all overgrown trees and shrubs. Weed flower beds. Paint or stain worn areas in wood decks; clean and sweep concrete. Give the room a fresh coat of paint if necessary; repair cracks/holes in ceiling and walls; secure loose wallpaper. Clean draperies and blinds; open them to maximize light; ensure they are fully operational. Clean carpets. rugs and wood flooring to remove any stains or odors. Remove and replace any attached items, such as chandeliers and draperies, that you wish to move with you. Make sure counter tops and sinks are clean and stain-free. Make sure the refrigerator and freezer are defrosted and free of odors; clean the oven and cook-top thoroughly. Make sure sinks, tubs, showers and counter tops are clean and free of stains; repair any leaky faucets. Remove grout and soap stains from tile; replace missing/cracked tiles or grout; make sure all joints are caulked. Store all supplies, such as toilet paper, shampoo bottles and cleansers. Repair cracks in ceiling and walls; apply a fresh coat of paint if necessary; make sure wallpaper is secure. Put away toys, clothes and neatly make up the beds. Clean furnace and drains; sweep floor. At night, turn on porch light and outdoor lighting. Buyers often drive by homes they are considering at various times of day. 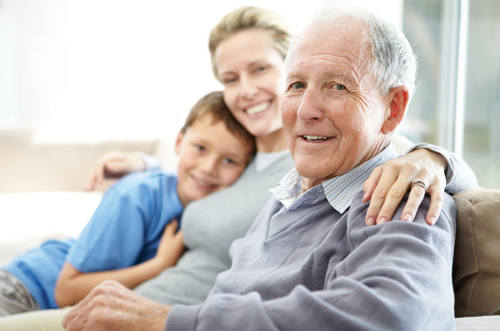 University of Arizona, are tips to help family caregivers communicate with their aging parents on sensitive subjects. Get started.If you're 40 or your parents are 70, it's time to start observing and gathering information carefully and thoughtfully. Don't reach a conclusion from a single observation and decide on the best solution until you have gathered information with an open mind and talked with your parents. Talk it out. Approach your parents with a conversation. Discuss what you've observed and ask your parents what they think is going on. If your parents acknowledge the situation, ask what they think would be good solutions. If your parents don't recognize a problem, use concrete examples to support your case. Forget the baby talk. Remember you are talking to an adult, not a child. Patronizing speech or baby talk will put older adults on the defensive and convey a lack of respect for them. Put yourself in your parents' shoes and think of how you would want to be addressed in the situation. Maximize independence. 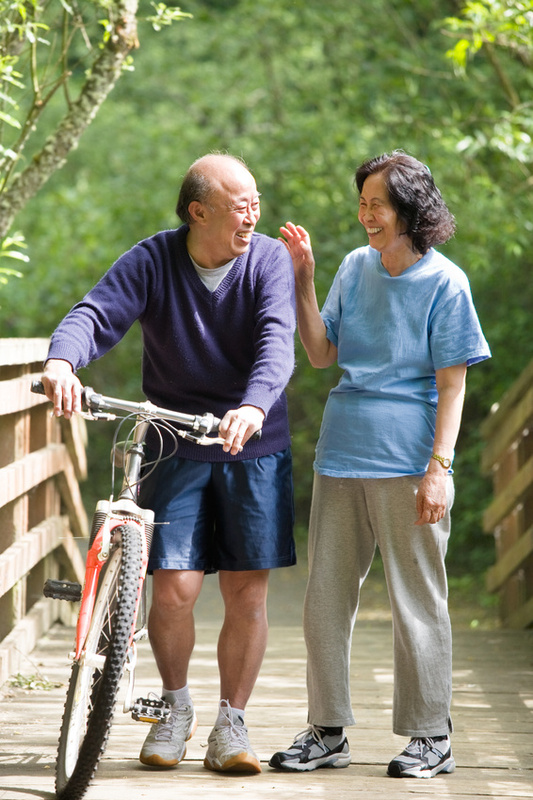 Always try to move toward solutions that provide the maximum amount of independence for the older person. Look for answers that optimize strengths and compensate for problems. For instance, if your loved ones need help at home, look for tools that can help them maintain their strengths. Professional caregiving services, such assistance in a number of areas including meal preparation. light housekeeping or medication reminders. Or find friends who can help. friends and a social life. Ask for help. Many of the issues of aging can be solved by providing parents with the support they need to continue to maintain their independence. These are people we love. Communicating with that focus on love, respect, and consideration will turn a potentially difficult situation into an opportunity for improved relationships and the best possible outcome. It’s no secret that choosing a CCRC(continuing care retirement community) that fits your needs, desires and budget can be a lengthy and involved process. That’s because CCRCs offer the broadest array of services in the senior housing market, usually with independent living, assisted living, memory care, nursing home and end-of-life care offered all on a single campus. Contract Type(s). There are three types of continuing care contracts: Type A (Extended), Type B (Modified) and Type C (Fee-for-Service). Find out which type(s) is offered; this will directly affect the health care services you will be entitled to receive per your contract, how much you will pay for those services, and the access you will have to such services over the duration of your contract. Costs. What costs should you plan for if you were to move in? Upfrontcosts for a CCRC usually include an entrance fee and/or deposit; ongoing costs include a monthly fee and services not included in your contract. Is the entrance fee refundable, and if so, how is the refund (sometimes called a “rebate”) structured? Health Care Services. Are all levels of care offered on the same campus? Some CCRCs contract out nursing home care, which could require a move off-campus if your health needs increase. Financial Status. The financial health of a CCRC will help you make an informed decision in choosing a community that is financially able to fulfill its contractual obligations to you. Applicants are entitled to review the community’s most recent audited financial statements, and residents are entitled to receive periodic updates (see information sharing below). Safety & Security. Are you comfortable with the level of security and safety features across the campus? Would you be able to get around safely if your health and mobility needs changed? Accreditation. Is the facility accredited by the Commission on Accreditation of Rehabilitation Facilities (CARF)? Accredited communities have met stringent standards regarding operational and financial performance as well as resident care. Lifestyle. Consider services and amenities, but also review the community’s policies on breaking your contract, pets, overnight guests, moving between components on campus, and living with a spouse, for example. Is it a good fit for your lifestyle? Many CCRCs allow prospective applicants to move in on a trial basis of up to a week to get a feel for the place. Many seniors have found happy homes at CCRCs but given the number of factors involved in a decision, the smartest buyers do their research and seek legal advice from an attorney before signing a residency contract. 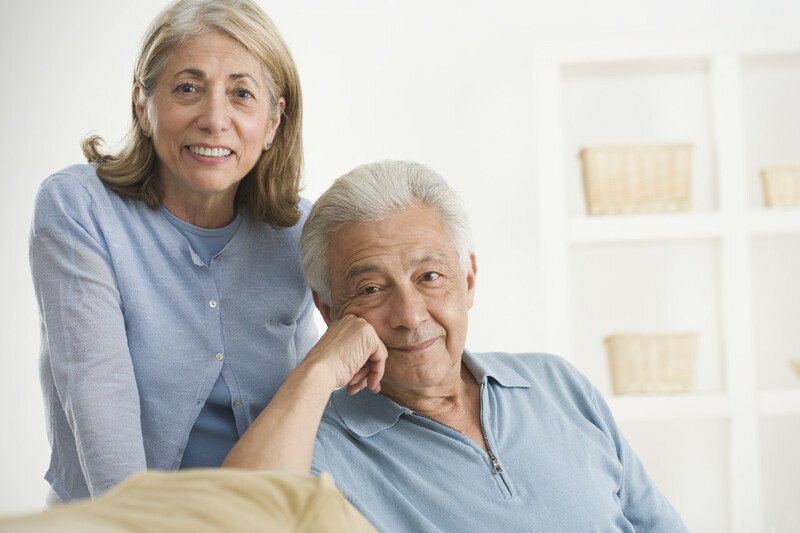 What is a reverse mortgage? A reverse mortgage is a special type of home loan that lets you convert a portion of the equity in your home into cash. The equity that you built up over years of making mortgage payments can be paid to you. However, unlike a traditional home equity loan or second mortgage, HECM borrowers do not have to repay the HECM loan until the borrowers no longer use the home as their principal residence or fail to meet the obligations of the mortgage. You can also use a HECM to purchase a primary residence if you are able to use cash on hand to pay the difference between the HECM proceeds and the sales price plus closing costs for the property you are purchasing. 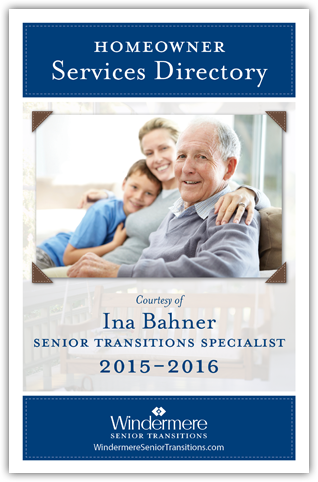 Can I qualify for FHA's HECM reverse mortgage? A reverse mortgage is a special type of home loan that lets you convert a portion of the equity in your home into cash. The equity that you built up over years of making mortgage payments can be paid to you. However, unlike a traditional home equity loan or second mortgage, HECM borrowers do not have to repay the HECM loan until the borrowers no longer use the home as their principal residence or fail to meet the obligations of the mortgage. You can also use a HECM to purchase a primary residence if you are able to use cash on hand to pay the difference between the HECM proceeds and the sales price plus closing costs for the property you are purchasing. Can I apply for a HECM even if I did not buy my present house with FHA mortgage insurance? Yes. You may apply for a HECM regardless of whether or not you purchased your home with an FHA-insured mortgage. Will we have an estate that we can leave to heirs? When the home is sold or no longer used as a primary residence, the cash, interest, and other HECM finance charges must be repaid. All proceeds beyond the amount owed belong to your spouse or estate. This means any remaining equity can be transferred to heirs. No debt is passed along to the estate or heirs. lesser of appraised value or the HECM FHA mortgage limit of $625,500 or the sales price if there is more than one borrower and no eligible non-borrowing spouse, the age of the youngest borrower is used to determine the amount you can borrow. 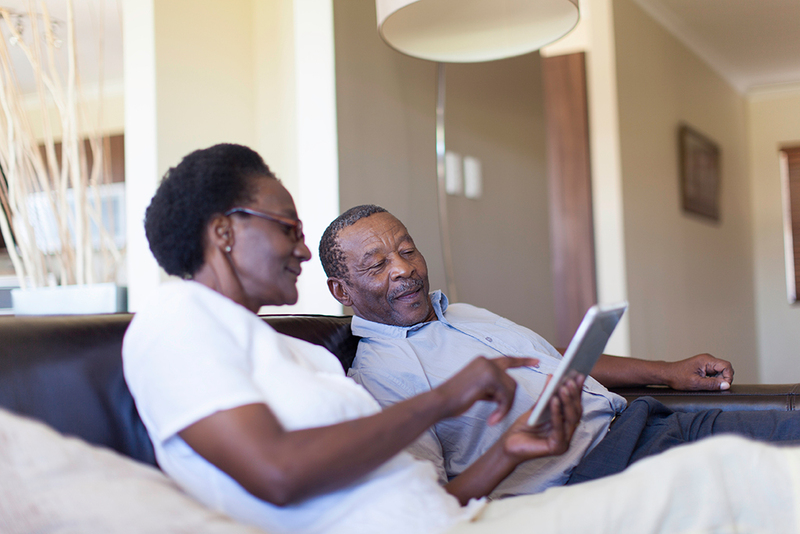 Should I use an estate planning service to find a reversemortgage lender? FHA does NOT recommend using any service that charges a fee for referring a borrower to an FHA-approved lender. You can locate a FHA-approved lender by searching online at www.hud.gov or by contacting a HECM counselor for a listing. Services rendered by HECM counselors are free or at a low cost. To locate a HECM counselor Search online or call (800) 569-4287 toll-free, for the name and location of a HUD-approved housing counseling agency near you. What if I change my mind and no longer want the loan after I go to closing? By law, you have three calendar days to change your mind and cancel the loan. This is called a three day right of rescission. The process of canceling the loan should be explained at loan closing. Be sure to ask the lender for instructions on this process. Mortgage lenders differ in the process of canceling a loan. You should ask for the names of the appropriate people, phone numbers, fax numbers, addresses, or written instructions on whatever process the company has in place. In most cases, the right of rescission will not be applicable to HECM for purchase transactions. Plan: Create a plan complete with goals, timelines, and people involved. Plan the work and work the plan! Pace: Start early, dividing the work into achievable parts. Reward yourself along the way. Floor Plan: Whether you plan to move or age in your current home, create a floor plan of your space. Identify current furnishings that work for you, and shop for pieces that meet your new needs. Family & Friends: Identify what you would like to give to family and friends. Put colored stickers on each item (i.e. blue for one child, red for another, yellow for a friend). You will enjoy seeing these possessions in their homes. Take it now: Encourage recipients of your things to come and get it! Don't wait for next week or next month. Clothing: Go through all your closets. Donate or discard things that don't fit, are out of style or are too worn. If you truly love a garment you won't be wearing again, take a keepsake photo. Then donate the item so it can be enjoyed by someone else. Kitchen & Tools: Eliminate duplicates! Keep only one of everything you think you might need. Discard the rest. Dispose of excess food-storage containers. Creative Donating: In some cases, items do not sell well, no matter the value you place on them. If that happens, consider donating them to a shelter, school, or club. The rewards of giving your cherished things to a good cause will outweigh the minimal monetary compensation you would otherwise receive. One room at a time: Work through your house systematically. Don't do more than what your body and mind can tqke – four to five hours per day. Drink plenty of liquids and take care of yourself. This is no time to get dehydrated or injured! Have fun: Downsizing can be liberating. It is a time to revisit old memories, while making way for a new chapter in your life. You will get through this! Start early, systematize, and reward yourself!